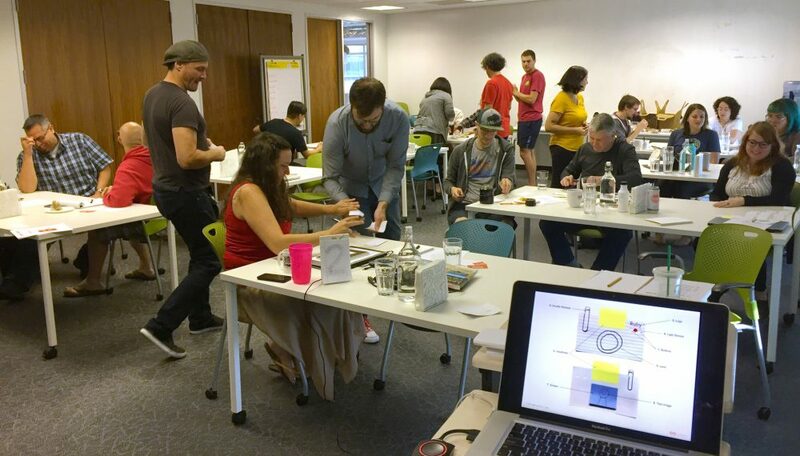 Lean is a way for people to interact and work together that employs whole-systems thinking applied to organizations operating within our current economic paradigm. What?! Please read on as I explain. Lean is a form of whole systems thinking applied to any kind of organization, be it government, education, non-profit, for-profit, community, or your household. 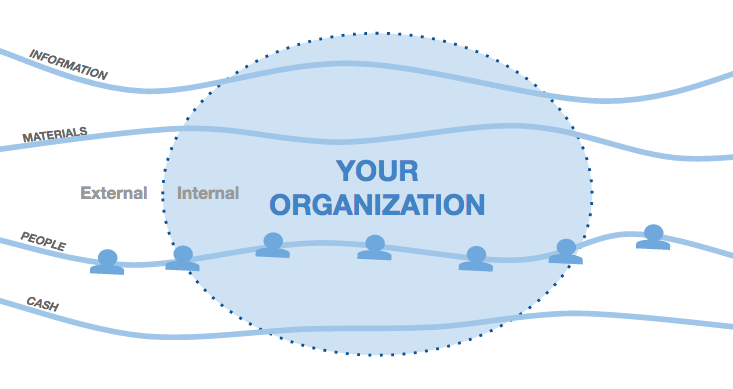 Lean whole systems thinking means that you're constantly educating yourself on what is happening upstream and downstream from you, as both an individual and as the group of individuals that make up your organization. Upstream is any element coming to you from a former process step while downstream is anything that you're providing to others after having completed your process step. And as a whole organization you are equally aware where those elements are coming from or going to as they move in, trough and out of your organization and onto other individuals and organizations. With whole systems thinking we no longer think of anything as "their problem" but think of everything as "our problem" or (even better) "our opportunity". Three decades before before it was coined "lean", lean was called the "respect for humanity system" (Liker & Meier, The Toyota Way Fieldbook, 2005). 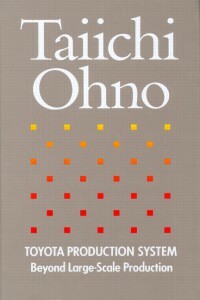 In the 1988 book Toyota Production System (by Taiihci Ohno, the father of lean, published by Norman Bodek, the godfather of lean) Taiichi Ohno stated that not allowing people to have a say in how they do their job was against "respect for humanity". He felt that when people "give their valuable time and energy to the company" we have to respect that time, because if they are not doing something worthwhile their "sense of value cannot be satisfied". Another way of thinking about this is that Taiichi Ohno was alluding to the fact that time is the single most important thing we all share. It's simple really: we're born, we have time, and then we die. Lean saves us time, and we can then choose to invest that time in whatever we want. We can go home early, we can take a vacation, or we can invest it in making our operational systems more efficient. 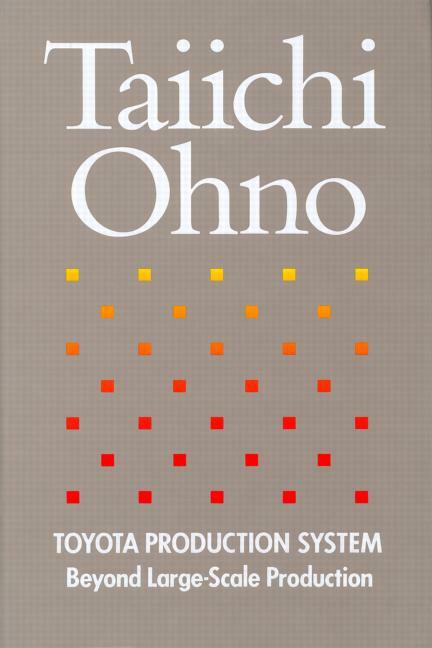 What Taiichi Ohno also understood is that if you empower and encourage people to experiment and make mistakes, they will strive to become masters at what they do. But in order to do this they have to work together. And in order for this to happen management needs to step out of the way and let them work together. So at it's root, lean is a system that relies on a culture of collaboration; a culture where everyone has a say in how they do their job; a culture where owners, leaders and managers lead by example; a culture of humility; a culture where experimentation and collaboration in the workplace are valued above all else. Without this lean will at best fail, and at worst be abused by management as a way to save on labor. Our adherence to the accounting standards and our use of these financial statements defines our current economic paradigm. With lean we can better control the flow of information, materials, people & cash. As these four elements flow between organizations their exchange is mostly documented by the Balance Sheet and Income Statement. Many organizations focus their improvement efforts on profits/net income, a.k.a the bottom-line (as it's literally the bottom line of the income statement). However, most organizations focus on profits in order to serve short-term monthly, quarterly or annual financial goals. In this way they see people as an expense to be cut. But in the end this simply undercuts the organizations ability to develop an authentic culture, which in turn hits the long-term financial health through lost wisdom, and enormously expensive retention, recruiting, and training activities. Also, the end profit or bottom line is just that. It's the end result of everything you do before you get to the profit. If you want to fix the profit you have to fix the processes that lead to that profit. As Norman Bodek, the godfather of lean, states "profit is not a measure of success in the long-term, productivity is". You use use lean theory to radically cut back on inventory and cash will increase. You then invest that cash into building a culture of collaboration. This in turn gives people the room to become the best they can be; to become lean process engineers. Efficiencies and profits will follow and this further increases your cash. Now when you hit hard times you can use that cash to continue investing in the people that helped you get there in the first place. It's a self-perpetuating continuously-improving operations system rooted in people. A lean culture of collaboration often needs to start with leadership committing to making it happen. Lean needs leaders that serve with humility; that invest in their people by allowing them to experiment and make mistakes; that look beyond the short term profits and play the long game. Lean works this way at organizations as large as Toyota and as small as single person operations. And again, lean works the exact same way at any kind of organization, be it government, education, non-profit, for-profit, community, or your household. Lean has proven that when we put ourselves (people) before profits we build healthier and happier organizations that are much better able to react to and deal with the challenges that reality brings us everyday. I see my job as training, coaching, and facilitating people on how to start and sustain their continuous improvement journey.